celebrates his 68th year in music! 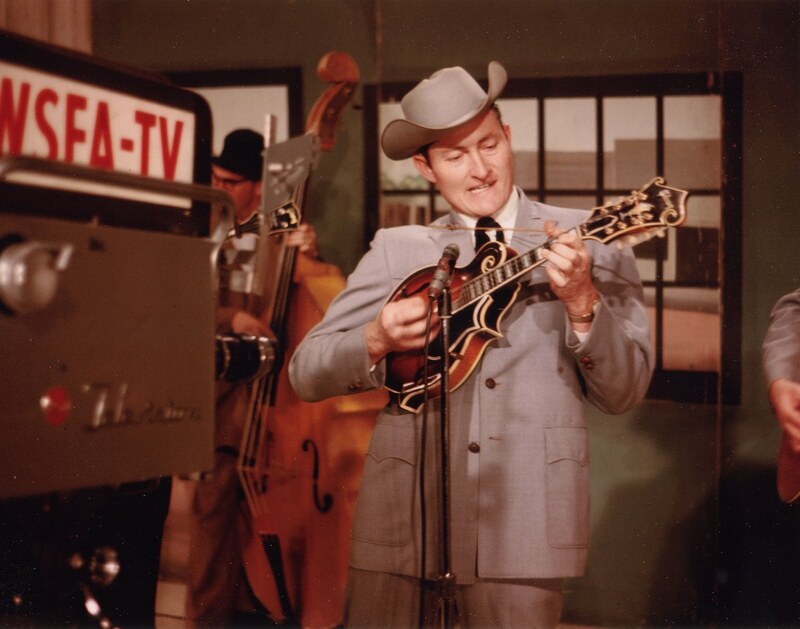 Jesse McReynolds, one-half of the famed Jim & Jesse bluegrass duo, is a legend in the world of bluegrass music. Known as “Mr. Mandolin,” and the "Ironman of Bluegrass," this multi-instrumental wizard has influenced generations of bluegrass musicians with his “McReynolds style” of mandolin playing, consisting of “cross-picking” and “split-string” techniques. His enormous repertoire includes bluegrass, country, gospel, pop, rock, movie themes, show tunes, and classical pieces. He has created hundreds of original compositions, such as “Dixie Hoe-Down,” “Drifting and Dreaming,” “Hard-Hearted,” “Just Wondering Why,” & “Border Ride.” As Jim & Jesse, as a soloist, and as a primary member of other groups, he has recorded more than 50 albums, with the majority of them still in print. In 1997, Jesse, along with brother Jim, earned our nation’s highest honor, the National Endowment for the Arts National Heritage Fellowship Award in recognition of their contribution to American music. Members of the Grand Ole Opry since 1964, Jesse & Jim were inducted into the International Bluegrass Music Association's Hall of Honor in 1993. Together, Jim & Jesse received a Grammy nomination for their 1992 effort Music Among Friends, while Jesse has received four Grammy nominations for recordings with various artists, including Best Country Instrumental Recording in 1979 with Vassar Clements, and Instrumental Recording of the Year in 1990 with “The Masters” (Kenny Baker, Eddie Adcock and Josh Graves). Mandolin Extravaganza, recorded with David Grisman, Ronnie McCoury, and top mandolin superpickers, won double IBMA awards in 2000 for Best Instrumental Recording and Special Recorded Event of the Year. The year 2005 brought Jesse another IBMA nomination, this time for Instrumental Recording of the Year for his project of mostly original tunes, Bending the Rules. Jesse has recorded with many other artists, including a memorable session with “The Doors” on their Soft Parade album. Jim & Jesse have performed throughout Europe, Japan and, under the sponsorship of the State Department, Africa. Notable venues played include the Newport Jazz Festival, Smithsonian Institution Folk life Festival, Great Lakes Folk Festival, Philadelphia Folk Festival, the American Folk Festival, and many more. In October of 2010, Jesse put out a project called Jesse McReynolds & Friends: A Tribute to Jerry Garcia & Robert Hunter ~ Songs of the Grateful Dead, to a very warm response from the music world. And, in December of 2010, Jesse joined many of Jerry's friends to pay tribute to the great musician, playing the Rex Foundation Benefit in "The Wheel: A Musical Tribute to Jerry Garcia," at the legendary Fillmore Auditorium in San Francisco, CA. Since the passing of his brother Jim in December 2002, Jesse McReynolds has continued to perform on the Grand Ole Opry and carry on the Jim & Jesse tradition that has earned them acclaim for 55 years. Jesse’s open and appreciative regard for all types of music makes every show a surprise. Whether he's playing with bands like The New Riders of the Purple Sage, Professor Louie and the Crowmatix, The Dark Star Orchestra, or his Virginia Boys Band, Jesse continues on playing concerts, festivals, and halls big and small, throughout the world. Up on a mountain in southwest Virginia stands the aging white farmhouse Jim & Jesse first called home. Raised in the small community of Carfax, located near Coeburn, VA, the boys grew up in a family steeped in traditional mountain music. This background made it natural for them to follow in the footsteps of their grandfather Charlie McReynolds, who was one of the first to record for RCA in Virginia, at the historic Bristol Sessions in 1927. Hailing from a family of mostly fiddlers, Jim & Jesse decided to try harmony singing and it was a natural from the start, when they won a singing contest in the early 40's. Jim's enhanced high tenor combined with Jesse's deep lead and unique mandolin style set this duo apart in the world of traditional music, now termed Bluegrass. 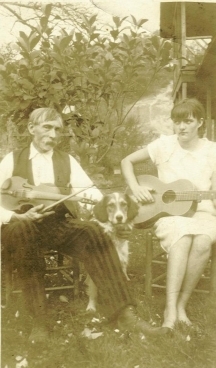 Very early in their career, Jesse developed a "McReynolds style" technique on the mandolin, combining his invention of "crosspicking and split-string playing", which distinguished his playing from others. Few have successfully mastered his unique style of fast execution of intricate melodic patterns. Jim & Jesse began their professional music career in 1947. In 1952, they debuted on their first major label, Capitol Records. The brothers recorded for various labels including: Columbia, Epic, again for Capitol, Opryland, CMH, Rounder, and their own, Old Dominion. In 1960, their first single for Columbia, "The Flame of Love" backed by "Gosh I Miss You All the Time" spent weeks climbing the top 100 national charts. "Cotton Mill Man", "Diesel on My Tail", "Are You Missing Me", and "Paradise" are a few songs regarded as Jim & Jesse classics. They were backed by their band, The Virginia Boys; always top-notch musicians featuring various traditional acoustic instruments: guitar (Jim), mandolin (Jesse), five-string banjo, fiddle, and bass. During their career, they toured all 50 states with the exception of Alaska, and traveled worldwide, including Canada, Mexico, Japan, Europe, The British Isles, and Africa in 1985 for the U.S. State Department. In the late '50's and early '60's most of their live weekly radio and television shows throughout the southeast were sponsored by Martha White Mills. Martha White also sponsored a portion of The Grand Ole Opry, and invited Jim & Jesse to be their guest hosts. This led to the brothers' membership on March 2, 1964 and their move to Gallatin, TN (near Nashville) in 1964. Their honors include induction into the Country Music Hall of Fame's "Walkway of Stars", the Virginia Country Music Hall of Fame, the IBMA Hall of Honor, and Bill Monroe's Bluegrass Hall of Fame. Individually and collectively, they garnered many Grammy nominations. They received the1997 National Heritage Fellowship Award from the National Endowment for the Arts, presented by Hillary Rodham Clinton and Jane Alexander at The White House, the nation's most prestigious honor in folk and traditional arts. Jim's passing in 2002 ended the longest active professional brother duet in country music history - 55 years. The music that originated in the mountains of southwest Virginia continues on, as Jesse enjoys playing to fans old and new, throughout the world. And just about as much, Jesse enjoys going back to his childhood home & spending time at his old homeplace. About Jesse McReynolds. . . .
As an instrumental innovator, mandolinist Jesse McReynolds could be considered in the same class as guitarist Chet Atkins, banjoist Earl Scruggs, and trumpeter Miles Davis. McReynolds originated unique “cross picking” and “split-string” techniques of mandolin playing that involve rapid-fire picking of individual strings in addition to strumming sets of strings. McReynolds writes, performs, and records mandolin pieces in the bluegrass, blues, rock, country, gospel, and semi-classical styles. In 1965, as a member of the Grand Ole Opry act Jim & Jesse, McReynolds recorded for Epic Records an entire album of Chuck Berry songs in bluegrass style. Called Berry Pickin’ in the Country, the album was produced by Billy Sherrill, who would soon become legendary as the producer for George Jones, Tammy Wynette, and Charlie Rich. Chuck Berry wrote the liner notes. At the request of the Doors’ producer Paul Rothchild, Jesse McReynolds played mandolin on the rock group’s 1969 album, Soft Parade. 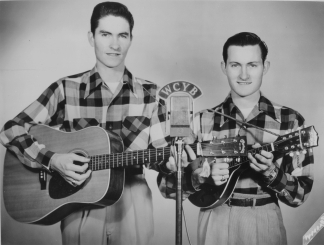 Jesse McReynolds and his brother, Jim, performed as the duo Jim & Jesse from 1947 until Jim’s death in 2002, holding a record for the longest professional brother duo act: 55 years. They were members of the Grand Ole Opry from 1964 onward, and Jesse continues as a member. The McReynolds brothers are grandsons of Charles McReynolds, who recorded on the famed Bristol Sessions of 1927, the event that gave birth to the rise of modern country music. Jimmie Rogers and the Carter Family also recorded on those sessions. 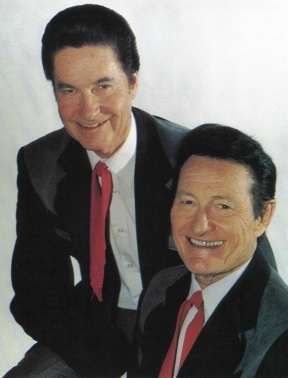 In 1993, Jim & Jesse were inducted into the International Bluegrass Music Association’s Hall of Honor. In 1997, Jim & Jesse received the National Heritage Fellowship Award from the National Endowment for the Arts. In 2005, Jesse's instrumental recording, Bending the Rules, received a nomination for "Instrumental Recording of the Year" from the International Bluegrass Music Association. In 2007, Jesse purchased and opened "The Pick Inn" a music and wedding venue in Gallatin, TN, where he hosts many concerts, benefits, and public events. In 2010, Jesse released a tribute to Jerry Garcia & Robert Hunter entitled Jesse & Friends~ Songs of the Grateful Dead. Many fine musicians participated and wrote liner notes for the project. 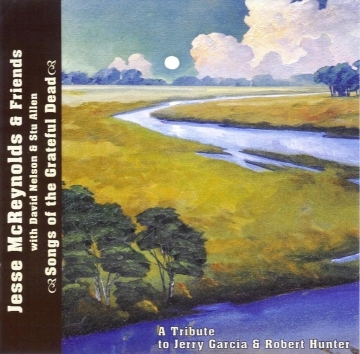 Jesse's CD, "Jesse McReynolds & Friends ~ A Tribute to Jerry Garcia & Robert Hunter"
is one of Jesse's finest. �"To me, Jim & Jesse’s style is wonderfully unique and readily accessible to any music lover who admires originality." �"Jesse's encanting is just as skillful, direct, and completely unpretentious, a matter of deep respect coupled with a love for the mode and its history. And, man, that mando he plays!, a direct brother to Garcia's ways and means. This shouldn't be surprising, though, as McReynolds has been noted for his innovations and cutting edge for well over four decades, and a man still ahead of his time. The guy conveys so damn much without resorting to pyrotechnics that one is reminded of the virtues of nuance and subtlety in very sharp contrast indeed. Yes, he is capable of lightning speed, as several asides illustrate, but what the picker imbues a single note with must be heard to be believed. " 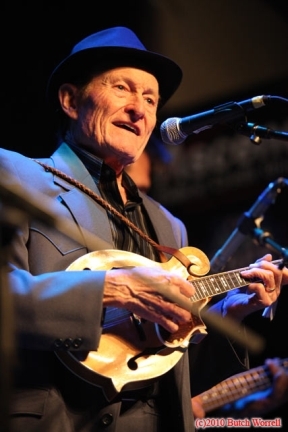 �"Jesse McReynolds has, for many years, been one of the foremost innovators in Bluegrass music, with his unique ‘cross-picking’ mandolin style. Jesse’s music has always been a model of unsurpassed technical excellence, good taste, and most importantly, genuine artistic creativity. Jesse, in short, is a musician’s musician . . . there is no better mandolin player, and no finer gentleman." �"[he] can range from Bluegrass to Country to Pop to Latin-American music and he has total mastery of his instrument. Whatever a person’s musical taste may be, they’ll be impressed by the things Jesse McReynolds can do with a mandolin." 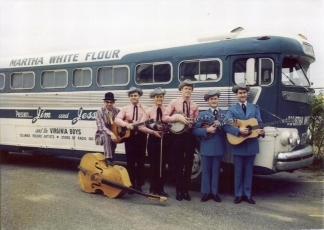 Jesse McReynolds & his Virginia Boys Band. Bluegrass music & workshops in the Jim & Jesse tradition. Jesse with other bands or an orchestra. This setting is more jam-based, with Jesse's mandolin & singing.